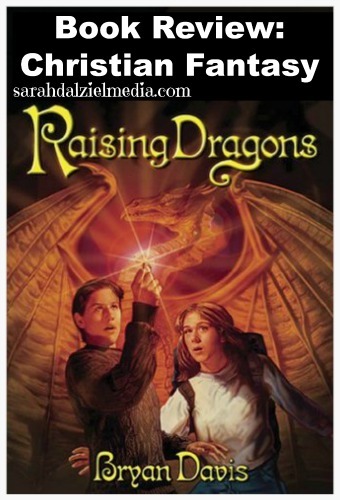 I read Raising Dragons, The Candlestone, and the rest of the books in the Dragon’s Among Us series, as well as the four books (same characters) in the “Oracles of Fire” series several years ago. While I enjoyed their premise, and the interesting ideas that came with dragons and half dragons, there were a few things that were more on the disappointing side. At least, they were disappointing to me as a reader, and a writer. The two series have to be read together, mostly because they are following the same macro plot line. Together, they are fairly standard hero’s tale, but with multiple heroes who each have their own moment to be the “tipping point” instigator. My personal favorite characters were the twins introduced in The Oracles of Fire, and the son of Shem who ended up being immortal along with one of the twins. Not sure why I like them more than the half dragons, but I do. The awkward part was that every one of the characters ended up getting paired off at the end of the series. Seriously, marriage isn’t likely to be the happily ever after that’s implied. Marriage might be a little more straight forward than fighting dragon slayers, but it could easily be even more challenging. It is sort-of satisfying, but at the same time it’s not. I’m not quite sure how to describe it. There was quite a bit of inventiveness for historical happenings, from the Tower of Babel, to King Arthur and even the seven circles of hell – and I don’t even know where that tradition originally came from. It is most definitely a YA (Young Adult) fantasy series, and I would recommend it to readers in the early to mid-teens. However, if you are given to analyzing everything you read, you are likely to not enjoy this story. Now, part of the “death isn’t permanent” is the use of the Candlestone and transforming people into light and devouring said light. Now, this part at least makes logical sense. However, it also means the big bad guy keeps coming back after being defeated. Now, if you were defeated 2 or 3 times by the same people… wouldn’t you stop chasing after them? While hatred can justify the 2nd or 3rd attack, it gets predictable when it happens 5+ times (is the villain insane? maybe…). Taking both series, it ends up being an eight book, multi-couple, budding love story, plus with fights. Yep, the main internal conflict keeps coming back to nerves, attraction, and fear. There is good on the fear vs. trust side actually, with love being the instigator of some pretty crazy fights too. Sure, we get a few morphs and sub conflicts in a few of the books, but the main sub-plot that keeps flickering around is one of the couples. Different couples in most of the different books at least, until all of them get married at the end. It does give me one question to ask though, are there any books that do not use some level of romance as a plot or conflict device (my own included… oops)? As I said, I would recommend this series for young to middle teen readers, or adults who like young adult fantasy. This is a Christian Fantasy story, so while I may get ticked off at the romantic aspect, it is a clean story and has moral and character points that are well modeled. While I did enjoy it when I read it, I ended up over-analyzing it and finding a few things to be just the tiniest bit annoying. What is your favorite side of Christian Fantasy? What do you look for when searching for Christian Fantasy books?